The town will host three days of music and entertainment by musicians including Tatewari, Jeff Oster, Bahía de Banderas Jazz Allstars, Steve O’Connor, Olivia de la Cruz, Dos Bertos and Las Musa, among others. 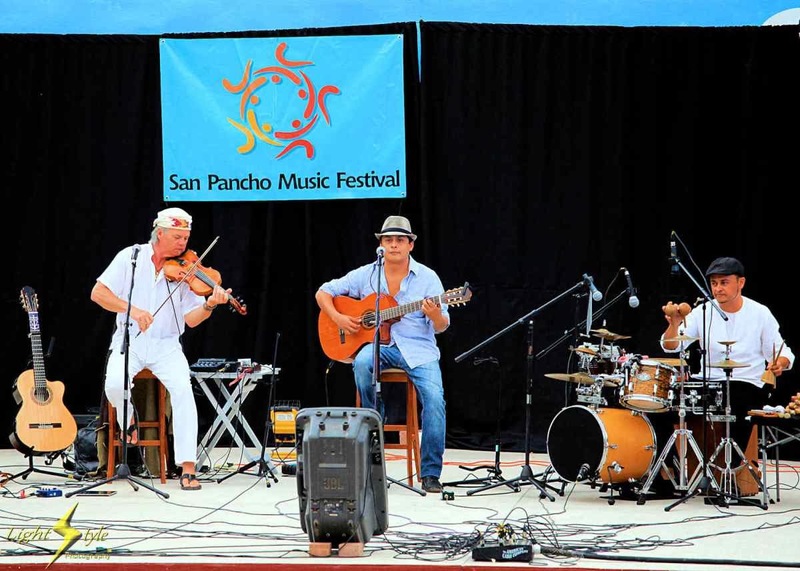 The town of San Francisco—better known as San Pancho—invites you to its 14th Annual Music Festival to take place February 28th through March 2nd. This event is free for the community to come and enjoy another taste of art and culture in the Riviera Nayarit’s culture capital. This traditional event takes place over three evenings, with the music starting at La Plaza del Sol at 5 p.m. sharp and continuing until midnight. The Festival will feature local artists from the Riviera Nayarit, as well as others from the United States and Latin America. According to Chris Parsons, a member of the organizing committee, the fact the Festival has been free for fourteen years thanks to the effort of the local residents as well as the artists, as they all volunteer their time to bring to life the community’s longest-running festival. “The community of San Pancho does everything possible to help the artists; this includes hosting them in their own homes in appreciation for their coming here to share their music for free,” he added. The Riviera Nayarit Convention and Visitors Bureau (CVB) is pleased to extend this invitation to anyone who enjoys good music, art and culture. Auditions for artists begin among the local musicians of the Riviera Nayarit and then extend across the border. In the end, they’re all happy to participate and be a part of this grand event, which has its roots in 2001. This year, the Music Festival welcomes some of the previous years’ crowd pleasers, including Tatewari, Jeff Oster, Bahía de Banderas Jazz Allstars, Steve O’Connor, Olivia de la Cruz, Dos Bertos and Las Musa, among other professional and amateur musicians.